Rob VanVarick, Principal of Design, Insights and Strategy at MGA&D, will deliver a talk in Asbury Park, New Jersey, on May 20th at TEDxNavesink. Rob’s TEDx Talk, entitled “A Declaration of Independence,” explores how self-identity can be suffocated as we age and lose capability. Today’s accessibility products are demeaning and as such, discourage adoption and use. Rob will demonstrate how good design can protect our unalienable right to the continued pursuit of happiness throughout our lives, no matter what our age. Having been with the firm since 2003, Rob passionately believes design has the power to positively impact people’s lives. His mission is to apply the right blend of research, psychology, creativity and strategy so that root causes are identified, allowing the best solution to be designed. Well-rounded solutions require multi-disciplinary input and collaboration. As a partner at MGA&D, Rob works with architects, interior designers, product designers, graphic designers, researchers and strategists all focused on one goal: enhancing the human experience at every scale. In the spirit of ideas worth spreading, TEDxNavesink is a local event that brings people together to share a TED-like experience. At TEDxNavesink, live speakers combined with TEDTalks videos, spark deep discussion and connection. 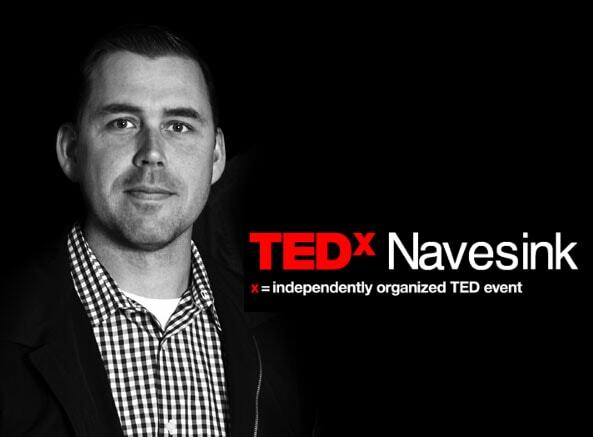 Learn more about TEDxNavesink here.